Situated on a private peninsula with unadulterated panoramic views of the Pacific Ocean, Terranea Resort might be one of Southern California’s best-kept secrets. 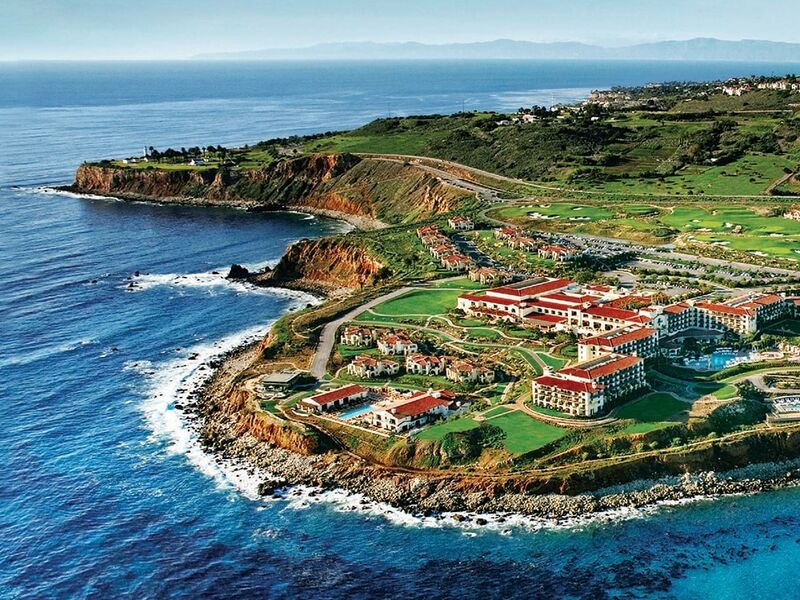 Terranea Resort is located on the Palos Verdes Peninsula, one of Southern California’s most scenic coastlines. Most seaside hotel guests require an upgrade or two to acquire prime oceanfront views. At Terranea Resort, A Destination Luxury Hotel, there’s no escaping them. Almost all 582 guest rooms and suites—including bungalows, casitas and villas—face the Pacic. e property’s four main restaurants, the spa, four pools, the golf course and hiking trails all hug the coastline. Even the tness facilities feature oor-to-ceiling windows—so whether polishing your tree pose or taking a brisk walk on the treadmill, expect to sweat to the sight of sweeping blus and seemingly boundless ocean vistas. The property itself is built into the coastal terrain of the Palos Verdes Peninsula, so from the lobby all the way down to the spa, each outlook decrescendos into the sea. Terranea is only 30 miles from Los Angeles, and for those who thought of San Diego and Santa Barbara, Calif., as the nonpareils for a coastal getaway, Terranea appears to be an untapped gem. Upon check-in, the experience is rstclass for both adults and children—the former are greeted with complimentary flutes of sparkling wine; the latter, with plush whale toys. Catalina Island is visible across the way, and, yes, it does host an annual wine mixer, inspired by the Will Ferrell movie Step Brothers. The nature trail along the coast is second to none for those who enjoy a good hike, with more than 2 miles to soak in, either on your own or led by one of the resort’s experienced guides ($50 per person for adults, $30 for kids). The tour gives the added advantage of going o the beaten path to see secret overlooks and lighthouses. Farm-grown ingredients, as well as wildlife and natural-property preservation are important here—a herd of goats helps tend to the areas around the peninsula without use of harsh chemicals; a flock of organic chickens supplies fresh eggs for the resort’s chefs; and whales are frequent visitors to the surrounding coves—in fact, a pod of orcas greets us upon our arrival to The Spa at Terranea (treatments from $200).